What’s up, everybody? Fred Lam here and welcome to our daily huddle episode number nine. In today’s daily huddle we’re going to actually talk about site optimization. That’s actually one of the questions that were brought up to me and I never really talked about this publicly and I think it’s very important for you to understand all these. So, before we jump right into that question, obviously listen in our daily huddle you get to ask me five questions, not you but I mean you get to submit your questions and I’m going to answer five questions every day from Monday to Friday and I’m going to answer in detail so you know exactly why I’m giving you the answer that I’m giving you. Now here’s the thing, I don’t know everything but I basically know a lot of things and I hope those a lot of things can actually turn into some knowledge where you can actually learn from them at them at same time and at the end of the day if you guys are actually joining us for the first time, listen if you have a burning question go to the URL www.fredlam.com/ask or simply if you are on Facebook on top of this video there is a link where it directs you to the questionnaire and if you are on YouTube right in the video description below you’ll find a link where you can actually click on it, submit your question and you can have your questions featured. Here’s the deal, if you guys are excited and you guys absolutely love our daily huddle put in the word excited into the comment box on Facebook and in YouTube right now put in the word excited into the comment box or I should say the live chat right now so I can see all of you guys. I love it every time I see you guys. If you guys can actually see me put in a 1 into the comment box, if you guys cannot see me put in a 2 for some reason my screen is showing black. [Side talk 02:42-03:05] So let’s dive right in into our five questions today. Sorry, before we dive right in, listen tomorrow is actually our tenth episode of our daily huddle and I’m going to do something that is going to completely blow you away and it’s only going to be available for those who are going to be here live with us. So, very important if you are on Facebook make sure you like my page, follow me on Facebook and if you are on YouTube make sure you click on the subscribe button. If you’re on Facebook but you’re not on YouTube make sure you go to YouTube search for my name, subscribe to my channel and if you are on YouTube make sure you go to Facebook and follow me on Facebook at the same time. This is the best way for you to know when I’m actually going to come on live or not, usually, I will be or whatever I’m going to do I will be. I’m going to travel tomorrow so most likely I’m going to do it through a phone so if there are any errors in internet technology I apologize in advance. 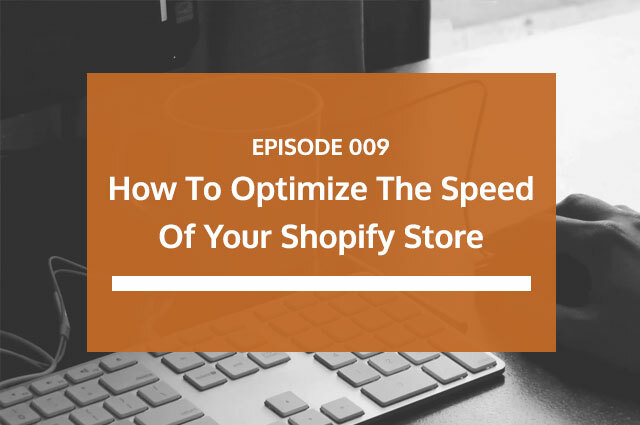 [0:04:22] Question 1: My question is, when doing drop shipping using Shopify, can a package get stopped at customs and who is responsible for paying the duty fee if and when that happens? My question is, when doing drop shipping using Shopify, can a package get stopped at customs and who is responsible for paying the duty fee if and when that happens? This is an absolutely great question. First of all, yes there may be an opportunity that get stop at customs especially if you are selling a product that is a super high perceived value then there is going to be a chance that the customs are going to basically hold up the product and wanting the receiver which is your buyer to pay for a duty. Chances for that are low but I’m not saying it is not possible. I have actual cases before or several times or more than several times because of the order volume that we do that it got stopped customs and they basically contacted our buyer. They usually contact the buyer, not the seller of paying the duty fee. When it comes to the duty fee majority of the time since it’s actually needed to be paid by the buyers so not yourself. You’re not obligated to pay for the duty because it is the person that’s going to receive the product. Now obviously there are going to be odd cases here or there where you know what the buyer got pissed off and they’re like, “You know what screw this. 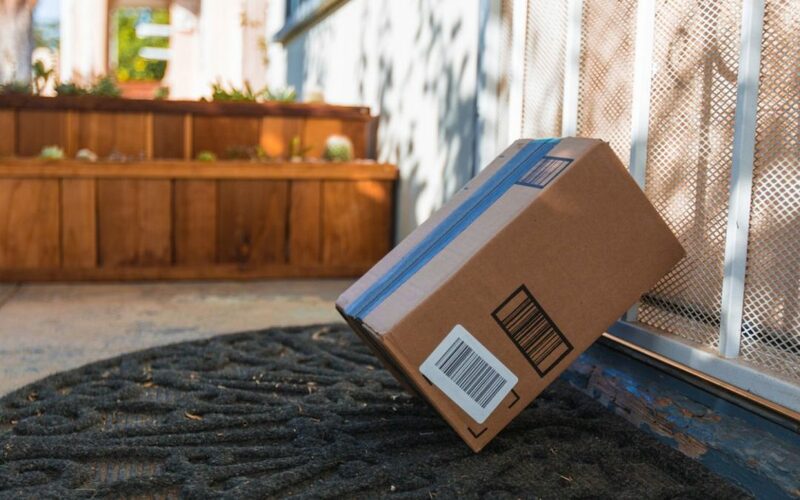 I’m not going to get it; I’m not going to pay for the duty because the duty doesn’t make sense.” At that point, you can actually talk to your buyer and say, “You know what we’ll reimburse you the duty fee” or whatever you want or you just return them the money and hoping that the product gets shipped back to your suppliers. So ultimately at the end of the day it is a case by case thing but majority of the time it is rare to actually get to stopped by customs unless you are selling for like a product that is like worth a lot of money that caused a lot of money and at the end of the day then customs will hold it up and actually charge a duty fee. But chances are it’s low but you may encounter case that there may be these things happen and if it does again, usually the buyer pays for it but if your buyer gets pissed off just work out with them and strike a deal and see what you can actually do. That’s the best advice that I can give you because again duty fee is really out of your control; it’s really depending on what the customs wants. [0:06:58] Question 2: How do you optimize your websites? Do you hire someone to make it faster? This is a KEY element people often forget. Finally, which metric do you use to determine how fast is your website? Now going to the second question by Felipe Vergara. This is actually a question that I really wanted to feature that I never talked about this in public. How do you optimize your websites? Do you hire someone to make it faster? This is a KEY element people often forget. Finally, which metric do you use to determine how fast is your website? I can tell that Felipe is a pretty advanced online entrepreneur. Great for you, pat on the back for you. Here’s the thing when it comes to optimizing your site it is very important and I agree with you a lot of people overlooked the site optimization in terms of speed. Let me tell you for a fact, we actually have an attention span that is less than a goldfish. Yeah, I’m comparing you guys with a fish right now, including myself obviously. We all actually have an attention span that’s less than a goldfish right now, so in order for you to maximize your clicks and sales you want to make sure that your website or your landing page gets loaded as quickly as possible because the faster it loads, the faster you grab the person’s attention without them waiting around and hoping that it is going to actually load one day. And we are actually being spoiled, if you remember back in we only have 3G when we never had even LTE or 4G network, when we’re back into like 3G or even 2G, it takes a long time to load a website and we were used to it but guess what nowadays world is so spoiled that if the website doesn’t load right away you’re going to leave the website. Put in a ME into the comment box on Facebook and if you are on YouTube put in a ME if that is you, if you went to a page regardless if it’s on a desktop or it’s on a mobile phone and it’s not loading quickly enough you simply hit the back button. Let’s be honest, let’s be truthful and let me start off first. I do that many, many, many times because I don’t like waiting. I just want to just go, go, go right away and I want to see what the ad is talking about to actually pique my interest and it’s absolutely fine that you do that. With that’s a really good thing that you guys bring up but again I agree with you Felipe that a lot of people just ignore it. [0:13:35] Question 3: Are there any keywords that Facebook do not like advertisers to have in their ad copy? Ex: "Limited Time Offer". And would it be better to have the price that you are charging for your product on your product page alone, or in your ad copy as well? Moving on to our third question of the day it’s by Mohammad. Are there any keywords that Facebook do not like advertisers to have in their ad copy? Ex: “Limited Time Offer”. And would it be better to have the price that you are charging for your product on your product page alone, or in your ad copy as well? Thank you, Mohammad. You are awesome too. The answer to the question yes and no. Limited offer, free shipping, 50% discount, 30% discount, one time offer, all these are actually going to be fine with Facebook as long as that messaging actually exist on the landing page. Let me repeat that using words like limited offer, one time offer, 50% discount, 30% discount those are absolutely fine as long as you have those in your landing page. It’s not what you are trying to just get a click and the person goes to your landing page, it is something different, you do not want that. 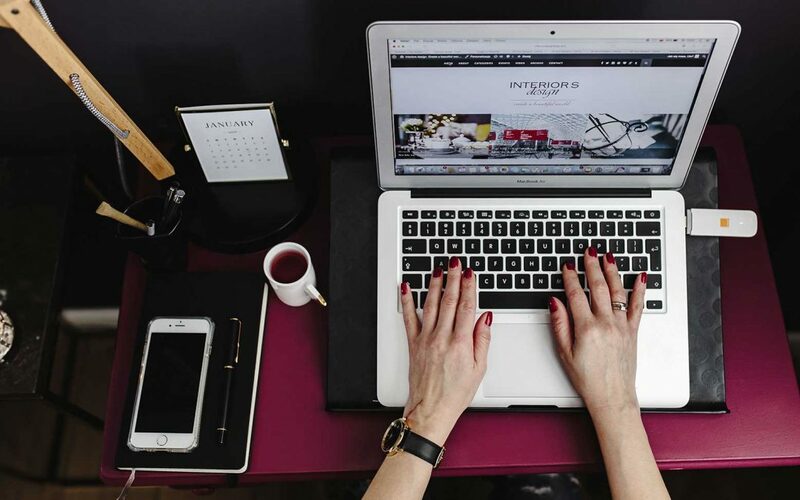 Now that’s more on the e-commerce side but when it comes to affiliate marketing and digital publishing, yes there are some words that you absolutely do not want to touch. Things like pharmaceuticals, drugs, disease, cancer, make money, make $500, make a certain number, how to build a businesses and all those other stuff. Things that they are watching really carefully in terms of words or what we call claims. Stay away from claims, stay away from drugs, and stay away from using words that imply diseases. Investment is okay that’s fine but you want to stay away from words like the FTC or FTA really cares about or making claims even basically like lose 10 pounds in 10 days. So these are what we call hard claims so when you have those words in your ad, you are going to get penalized. You are not going to get penalized but it will get your ad account suspended just like that. You want to basically stay away and be careful using those words. Your other question is, do I put a price on the products in the ad that we’re selling? Yes and no. Yes, if I’m using the tripwire method. I tell people it’s free, they only pay shipping and handling. Whenever I use a tripwire method I basically flat out tell them there is shipping and handling involve that they need to pay. If I’m selling a product that is at a retail price, I do not tell them what the price is. They will only discover the price when they actually go to your landing page. However at the same time different niche works very different. You may have an ad that talks about the price as well, you’re going to get very low click-through rate however your conversion rate is superbly high because the person actually saw the ad, saw the price, they go to your landing page, most likely they’re going to buy the product but at the same time you may pay a much higher cost per click. So you have to monitor your cost per click and your conversion rate at the same time to determine having the price on your ad is a good thing or not but I don’t do it. I’m just telling you that if you decide to do it, you want to monitor that because the conversion rate will definitely be much higher than not showing the price on your ad itself. I hope that really answered your questions. I actually have a lot of people asking about question right now, feel free to go to www.fredlam.com/ask to ask the question. [0:18:21] Question 4: Hi Fred, I recently started a Shopify store, thanks to you! My question is regarding my domain. I first selected a local (South African) domain meaning .co.za at the end. Does this domain scare off say 1st world countries? Hi Fred, I recently started a Shopify store, thanks to you! My question is regarding my domain. I first selected a local (South African) domain meaning .co.za at the end. Does this domain scare off say 1st world countries? That’s a really, good, good, good question that you bring up. I don’t know the truth to the answer or the real thing to the answer because first of all I never tested it. I can’t even buy a .co.za I can’t even buy one because that’s a South African domain. The answer is, I don’t if this is true but here’s what I can tell you based on what I know. First of all, I always recommend people to buy .com,.net or .co. Obviously .co is a little bit more expensive. At the end of the day if you yourself think of it from your consumer stand point. If you are going to a website that is .co.za, are you going to buy from that website? That’s a question more of for you and the truth is as a human we are all now trained to actually look at .com, .net and .co so at the end of the day don’t seems to be more of “legitimate” websites to people’s minds and to people’s body and behavior. Again, I don’t know the answer to the question but I would have to say here’s how you can use .co.za to your advantage though if you’re selling products that are only available from South Africa or let’s say that you’re selling products that really fits into the South African culture it does make sense to have a co.za, right? It does make sense because people know that they’re buying a South African products or they’re buying a South African culture related products so at that point then obviously a co.za may work really, really well. But at the end of the day I always just use .com, .net, and .co because people are just trained to look at [inaudible 20:49-50] for like another domain extension they will be like, “I rather buy from a .com” because I don’t know it’s just a buying set thing that people are just more use to buy in .com. But again like I said the .co.za can be used to your advantage if you’re selling some culture items from South Africa that may work phenomenally well. [0:21:19] Question 5: What is a reliable free traffic? What is a reliable free traffic? Great question but not a question for me. I have to tell you this because I am not a free traffic guy. I am all about investment traffic and paid traffic. I can give you what I know based on my knowledge but again like I said I don’t know every single nitty gritty detail, every day I am learning just like you. I am not specialized in free traffic, I am specialized in advertising and paid traffic and that’s what I’m good at and that’s what I know a lot of but when it comes to free I’m not going to pretend that I know every single thing. But based on what I know, based on my knowledge, based on my network of people who have been telling me, SEO works really well for local businesses. SEO works really, really well a for local business, that’s the truth. When it comes to let’s say you’re trying to sell a product or you’re trying to sell a service online SEO is going to be tough because of competition, so when it comes to free traffic what I love the most and I would have to say it’s the best is Instagram because the engagement rate on Instagram far succeed any other social media platform. And people on Instagram nowadays are finally now buying products online and they are opting in into landing page. So if you start building a following on Instagram or when you start advertising on Instagram, you’ll slowly get a following as well because you are giving the opportunity to actually show your page at the same time, guess what you are going to get a following and whenever you post anything on Instagram, it will just get a higher engagement rate and you just need to make sure that you tell them to have a call to action, go to the bio box and actually click that link. So again, based on that, that’s what it is. Here’s a crazy tip for you, I just remember. 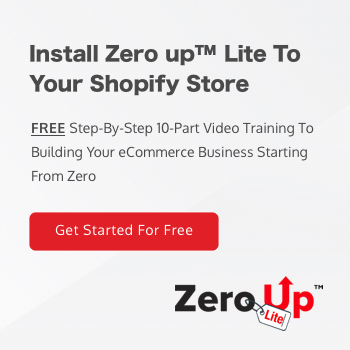 It’s crazy tip that I basically remember and I have to give credit to Stephen Floyd from OMG machines, those guys taught me a strategy that works really well for free traffic for Shopify stores and what is this is couponing. It will cost you around $5 but you can do it yourself if you want. A lot of people nowadays they are trained or they are basically now—I don’t like it but we have to face the truth, what they do is that they simply look at the website they wanted to buy the product and they will go to Google and actually search up that websites and adding the keyword coupon. I’m pretty sure you have done that before. Put in a 2 in into the comment box or into the live chat on YouTube if you’ve done that. You’ve gone to the website, you’re about to buy that product that you know what I’ll just go to Google and see if I can find a coupon. Let’s be honest, I’ve done that many times. And I actually have done that and I have to be honest, I do that with GoDaddy alone. Whenever I buy a domain, I can’t say I’m a cheap agent. It’s just that I feel that I get something better. People love deals. That’s what you want, so you simply just go and search for a coupon and really go from there, with that that’s what a lot of people do. 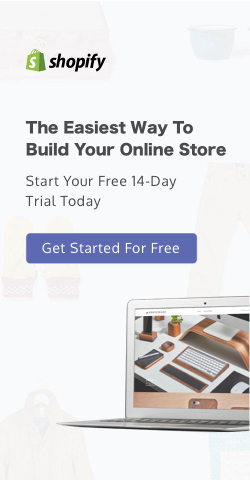 And what you wanted to do to get that free traffic is very simple go to the top coupon websites and basically submit a coupon that you created inside your Shopify store that you simply have listed in this coupon directories. If you don’t want to do the labor-intensive work, obviously you can go to viber.com to do this pay $5, get these people to submit to like over 30 different sites and guess what, when someone actually search for your domain name and because all these coupon websites have a high, high, high what we call PR ranking guess what you need to get free traffic from there. So that’s what I was suggesting you to do. And what you wanted to do to get that free traffic is very simple go to the top coupon websites and basically submit a coupon that you created inside your Shopify store that you simply have listed in this coupon directories. If you don’t want to do the labor-intensive work, obviously you can go to viber.com to do this pay $5, get these people to submit to like over 30 different sites and guess what, when someone actually search for your domain name and because all these coupon websites have a high, high, high what we call PR ranking guess what you need to get free traffic from there. So that’s what I was suggesting you to do. In terms of free traffic, there’s another one that I feel it is a little bit harder, it’s a hit or miss is reddit. If in reddit, if you are able to have a super viral piece and I read the case study before on reddit someone actually featured it on reddit; it was a company that had a person, the company didn’t do it themselves, the actual actually bought the product, it was a mattress and it was really geared towards the people who are minimalist. They actually put a reddit post about how that mattress is for minimalist, how easy it was. I forgot what the company name was by the way; it was awhile back that I read it. That piece of post on reddit went super viral and it built a seven-figure business for that mattress company because of that post but again like I said it’s a hit or miss but these are ways that I mean it’s reliable. Are you going to get it right away? I can’t promise you because I’m not a free traffic expert. I can’t promise you that at all. But these are some strategies that I’ve seen that worked that I talked to someone on my networks that they have been using and I’m just sharing that information with you.